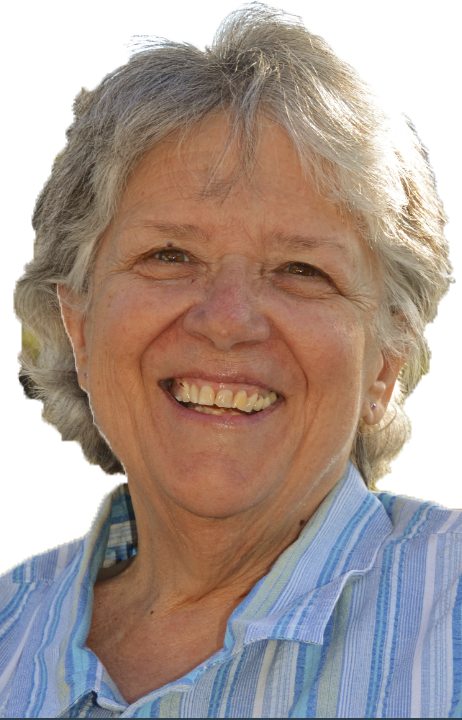 April 1, 2014: Big Bend Country’s own Elizabeth A. 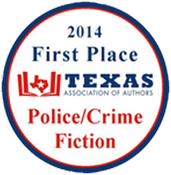 (Beth) Garcia will be awarded Best Crime/Police novel of the year from Austin-based Texas Authors Association at the awards banquet in Austin on June 21st. 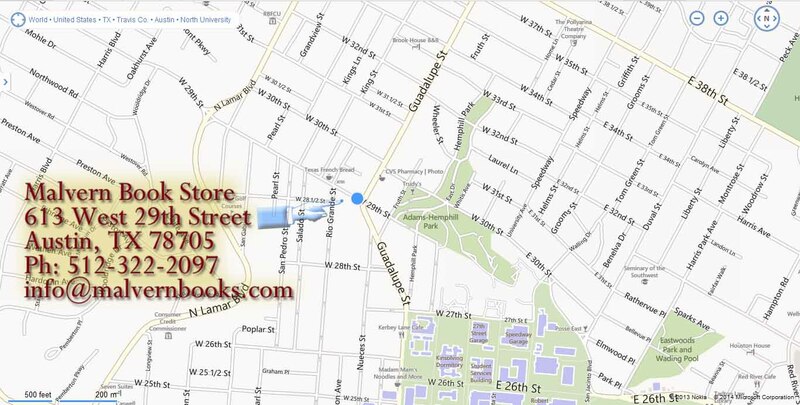 The day after being presented the award Garcia will have a book signing event at Malvern Book Store in Austin. Elizabeth Baeza Márquez told us about this book written by a friend of hers, Alfredo Terrazas. A False Lie tells the story (based on real events) of Santos' love and Dolores' lies. In the process of telling the story it reveals what life was like for the people living in the area of Big Bend, Texas in the early 20th century. Santos' love for Dolores is so great that it forces him to live in misery. What is to become of their destinies? Louisa Franco Madrid recommends these two books. She just finished reading them. Louisa tells us that "Tales of the Big Bend" gives sources for some of the the tales that include Carolina P. Molinar and Petra Valenzuela. Around 1951 when Petra Valenzuela (now Petra V Gonzales) was a student at Sul Ross College she, Kate Davis, and Ester Gonzales told the author some of the stories found in the book. But Louisa finds "More Tales of Big Bend" even more interesting because "it has the corridos of the Big Bend and one is the one where Leonardo Pando and Secundino Franco are mentioned. El corrido del Rancho Jandred-huan on pages 58 through 62." We have included "Stray Tales of the Big Bend" by Elton Miles because it is the next in the series of these books. Tell us what you think of the book if you have read it. We have also included "The Way I Heard It" by Walter Fulcher because it tells us the folklore of how things were named in the Big Bend area. Mr Fulcher was a respected resident of the area with deep roots in the Terlingua area. You will find Some Familias de Terlingua readers have recommended this book. On page 76 you Walter Fulcher tells the story of Marcelo Dominguez running contraband liquor. "We saw Marcelo Domínguez, with his pack mules loaded with liquor, headed in the direction of Alpine." On Tuesday November 16, 2010 The Latino/Latin American Studies Center Austin Community College Riverside Campus and the Tejano Genealogy Society of Austin present a book signing and lecture by the renowned authors Dr J. Frank de la Teja and Dr Andres Tijerina. They will be speaking on their new book “Tejano Leadership in Mexican and Revolutionary Texas.” Dr. Tijerina also published Tejanos and Texas under the Mexican Flag, 1821-1836. 2015 Brings us another "must have" book from Thomas C. Alex. This time writing with Bob Wirt their book "Around Terlingua" tells us the story of the Terlingua area in three chapters: Mines, Families, and Community. The deep research Tom and Bob performed brings to life the still photographs of forgotten people, places, and times. Bob Wirt died while he was working with Tom Alex on this book. But his endless hours of dedicated researched help give life to this book. Some of the people, places, and events in this book will surely lead you to find even more in the wonderful legacy Bob Wirt left behind, the website, Life Before the Ruins. If you have an interest in the Terlingua area this definitely is another "must have" book for you. We strongly recommend this book by Thomas C. Alex. It has many pictures you didn't know you wanted to see and have. Tom has included some very representative photos from archives and the families of people who lived in the area. Although it is a book of photographs it nevertheless tells a lot of stories behind the photographs. Ken Ragsdale pretty much wrote the first book that started us all learning about the old days in the Big Bend Area with the publication of his book "Quicksilver" in 1976. In 1983 he published his second book "Wings Over the Mexican Border" about military aviation border patrol in the early 20th century. 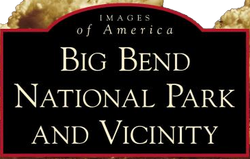 And in 1998 his third book "Big Bend Country Land of the Unexpected" returned to add to his study of the Big Bend and its people. Familias de Terlingua admires Ken Ragsdale very much and we appreciate how his work has shined the light of history on our families. Because of this, Familias de Terlingua honors Ken Ragsdale by adding the name "Ragsdale" as an honorary family of Terlingua. The name "Ragsdale" is now on our Las Familias page. For all our admiration we must point out that there are minor errors in his work. Some errors come from his sources some from his own conclusions. The fact is that Even an admirable man with a masters in history and a Ph.D. in American Civilization with good intentions of being objective falls prey to viewing Mexican Americans from an Anglo perspective and allows errors to creep in. These do not appear to be intentional or mean spirited. For example on page 48 of Quicksilver, he describes the typical dress of the freighters. 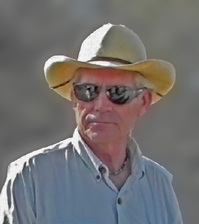 He bases his description on an interview with Harris Smith "a Big Bend Miner." He says they did not wear shoes but wore huaraches -- Spanish for sandals. But none of the Mexican Americans wore huaraches, they wore shoes. Some poor newly arrived immigrants from Mexico did wear huaraches. An interview with any Mexican American who had lived there would have corrected this or close study of the photographs which show them wearing shoes or boots would have corrected this. But his does not take away from the importance of Ken's work for all of us to understand the old Big Bend days. Ken died June 17, 2015. Ken was so instrumental in helping all of us know the old Terlingua that on his death we have added the "Ragsdale" name to the list of families of Terlingua. This is the second honorary family of Terlingua; the Wirt family was the first. 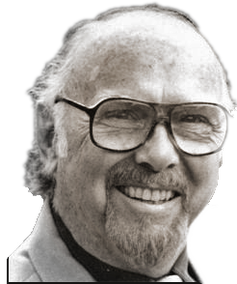 We have published Ken's biography/obituary here. We recommend that you read his obituary since Ken was not your ordinary human. He reinvented himself over and over again to live more than one life. His many transformations include him being a musician, creator of a Big Band Orchestra, music teacher, airplane pilot, and artist. He not only opened up the old world of Terlingua to us, but he is an inspiration for each of us to do more in our lives. Read his obituary and let it inspire you. "Quicksilver" has a lot of details, many of which were obtained by interviews with those that lived there at that time. For example, on page 47 there is a detailed description of the mule-drawn wagons used to haul mail, passengers, freight, and supplies. He names the eight contractors that were used by the Chisos mine and how many wagons each had. "(Villa De La mina in Terlingua) there is a video there of what Terlingua used to look then If somebody is interested get book "Big Bend Country Land of the Unexpected" by author (Kenneth B. Ragsdale good reading." Recommended by Bob Wirt: "This is a fascinating account of U.S. Army Air Corps operations in the 1930's at Johnson's Ranch, along the Rio Grande River in what is now Big Bend National Park. It also has some insights into what it was like to operate a trading post in such an isolated area." Chronicles of the Big Bend: A Photographic Memoir of Life on the Border by W.D. Smithers with a forward by Kenneth Baxter Ragsdale. Recommended by Bob Wirt: Bob tells us that W.D. Smithers "a famous photographer, worked for the U.S. Army as a packer for mules and wagons supplying Army outposts in the lower Big Bend, so about half of the book is dedicated to those activities. But later he spent a lot of time in the area just taking photos of ordinary people and things. He also has chapters on the curanderos and the avisadores and their secret signaling system." W.D. Smithers died June 24, 1981. Ken Ragsdale wrote the foreword to this book. It is one of the oldest continuously inhabited settlements in the Chihuahuan Desert, ranking in age and dignity with the Anasazi pueblos of New Mexico." "...La Junta de los Rios straddles the border between Texas and Chihuahua, occupying the basin formed by the conjunction of the Rio Grande and the Rio Conchos. 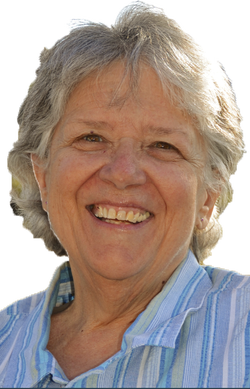 Morgenthaler's "La Junta de Los Rios" chronicles La Junta's story from prehistory through the 1830s. Woven into the context of the exploration and occupation of the central corridor of northern New Spain, this is a tale of three distinct cultures -- La Juntan, Spanish and Apache -- competing for possession of a desert oasis. These two books were suggested by Dr. MJ Garcia. See other reviews of this book. The author of this book, Juan Manuel Casas, has posted to "First Post" in Family Discussions and has reported on the 2009 Villalba Family Reunion. Former teacher Patricia Wilson Clothier’s richly detailed memories of ranch life in the Chisos on the Wilson ranch, which stood at the center of the current park, coupled with a backdrop of Depression era hardships, bring the Big Bend to life in this original and vivid description of a life spent Beneath the Window. Has anyone read Terlingua Teacher? This seems like a very interesting book. The students mentioned in this book had a reunion in 2004. Here is a link to pictures from the reunion. We would really enjoy having anyone who was at the reunion tell us about it on our Family Discussions page. See more pictures at this link. Place mouse pointer over a book to get details. Click on book to order it. Press and hold left mouse button down over arrows to move books around. Click on the arrows below the carousel to move the books and other products around. Hover (put mouse over) on a book or other product and you will see more information about it. Click on a product and you will go to an ordering page to learn more about the product and to buy it if you wish. We may add a quote from you here. Suggest a book at Family Discussions. Click here to discuss these or other books. If you read a book tell us what you thought.